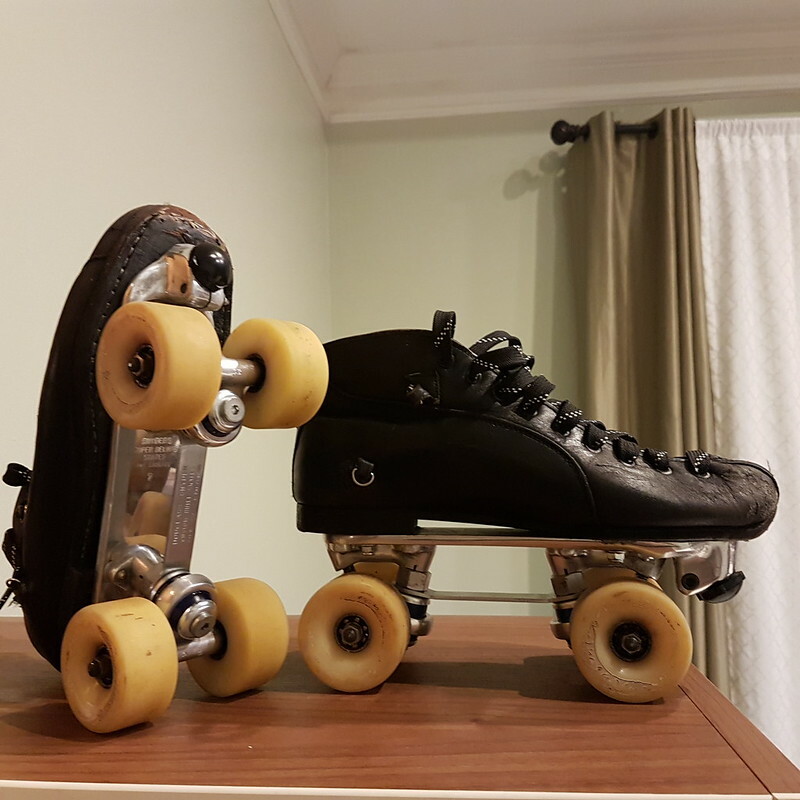 I decommissioned a set of my wife's skates and decided to test an idea. As my experience grows I find myself wanting a shorter plate for more twists and turns. I like getting on my toes. I like setting on my heels. So I wondered how short a plate I can handle. The front wheel can not go any further back than the ball of the foot. (That's what the art coaches tell me.) So the rear wheel position is a function of plate length. So a little Frankenstein work and here we are. 151 mm plate from a size 6 boot mounted on a size 10 boot. No rink time yet but I had fun in the hallway. I'll post updates and impressions as they happen. I feel obligated to state: These are NOT for speed. Just goofing around and having fun.